At Shop With Us, we are all about looking for stylish and comfy leggings to add to our collection that can mix and match with our wardrobe seamlessly. While we own several pairs, we can’t help but add another design to our arsenal and these denim leggings are our latest obsession. See It: Grab the Free People Easy Goes It Leggings for 25 percent off of the original price of $58, now $44. Also available at Lord & Taylor for $58. 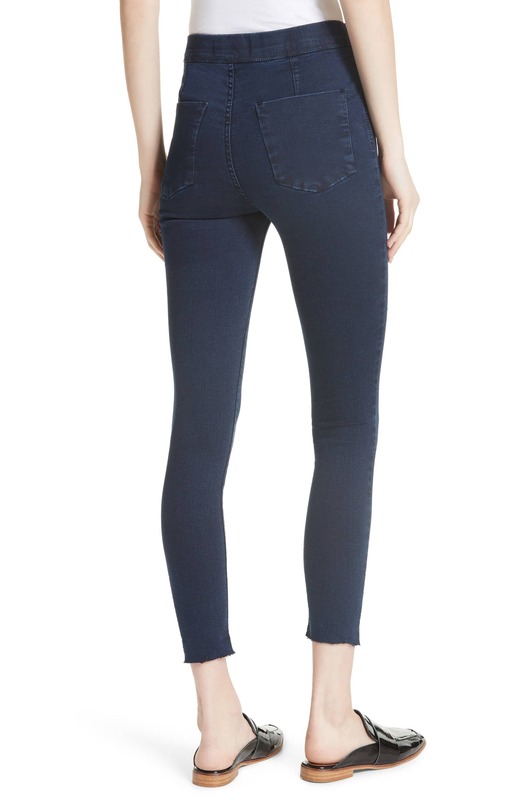 The Free People Easy Goes It Leggings look just like a pair of blue jeans. 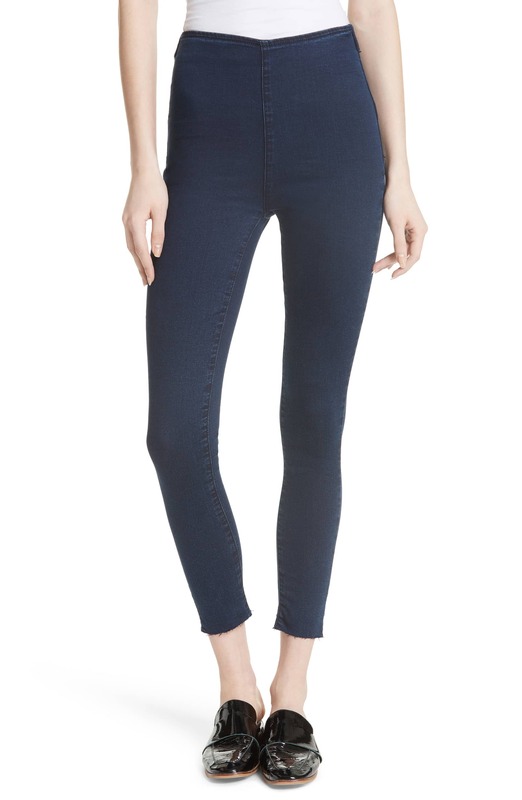 Crafted with a stretchy denim design, this style is perfect for days when we want to give our everyday jeans a break. The high-rise leggings sit just above our waist for the ultimate curve-hugging finish. Designed with two back pockets, we can tote our small essentials while we’re on the go. The leggings also feature frayed hems and a flat front. Great for complementing our closet, we plan on adding this pick to our daily lineup. The leggings are also available in a classic black hue. Normally retailing for $58, this budget-friendly piece has hit the sale rack with a 25 percent markdown, leaving Us with a $44 price tag. Shoppers who purchased the leggings are completely swooning over their amazing fit. Reviewers love the bottoms’ frayed ends, while others appreciate that the pants have just the right amount of stretch. Shoppers also like that you can dress this pick up or down with ease. One reviewer also shared that the leggings are comfortable at the waistband. We can’t wait to wear these leggings with a bodysuit, moto leather jacket and cross-body bag to our next happy hour event. We’re also thinking of switching it up with a blazer, blouse and mules for a casual Friday outfit. For running errands, a basic T-shirt, top coat and sneakers ensemble is just the ticket. Sizes 24 to 31 are currently available in select colors. A great transitional piece, we can count on stepping out in style.